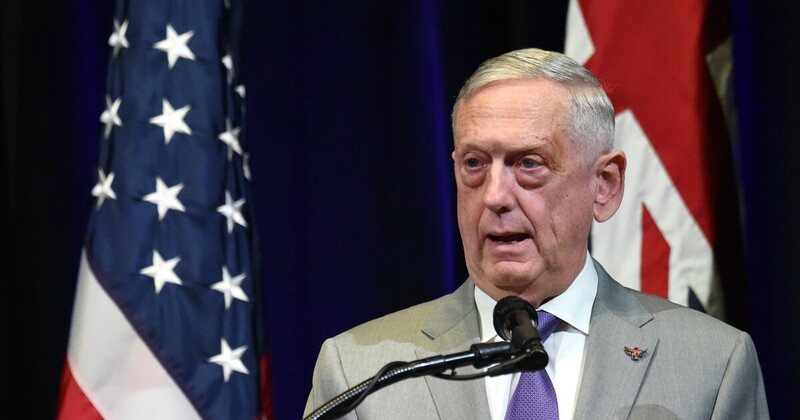 D Efense Secretary Jim Mattis said Wednesday that no decision had been made on the future of US and South Korean military exercises. The official statement from the Pentagon Press Department came one day after Mattis made several comments during a rare press conference suggesting that the exercises would continue in talks with North Korea over the turmoil in the nuclear arsenal. "The Department of Defense has suspended three separate military exercises to provide space for our diplomats to negotiate on the demonstrable, irreversible and complete denuclearization of the Korean Peninsula," Mattis said in the new statement. "Our military stance has not changed since the conclusion of the Singapore Summit, and no decisions have been made to suspend future exercises." Trump had decided in June after his summit meeting with the South Korean allies to suspend some large-scale US exercises Kim Jong Un in Singapore called the operations provocative and expensive. The move should begin negotiations with the regime after testing intercontinental ballistic missiles capable of striking the American mainland. But last week Trump suddenly canceled Foreign Minister Mike Pompeo's trip to North Korea because negotiations had not made enough progress. Mattis told reporters in the Pentagon's meeting room Tuesday that the suspension was a measure of good faith and that "we have no plans to suspend further exercises at this time." He went on to make no decisions had been made for further suspensions and he had no "crystal ball" to know what could happen. The comments themselves seemed to confuse the Pentagon's press service, which published a news bulletin and then wrote that exercises would be resumed on the Korean peninsula.